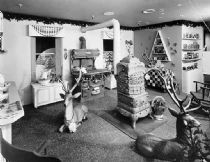 Marshall Field promoted its Cozy Cloud Cottage as Chicago’s home-away-from-home for Santa Claus. 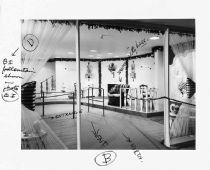 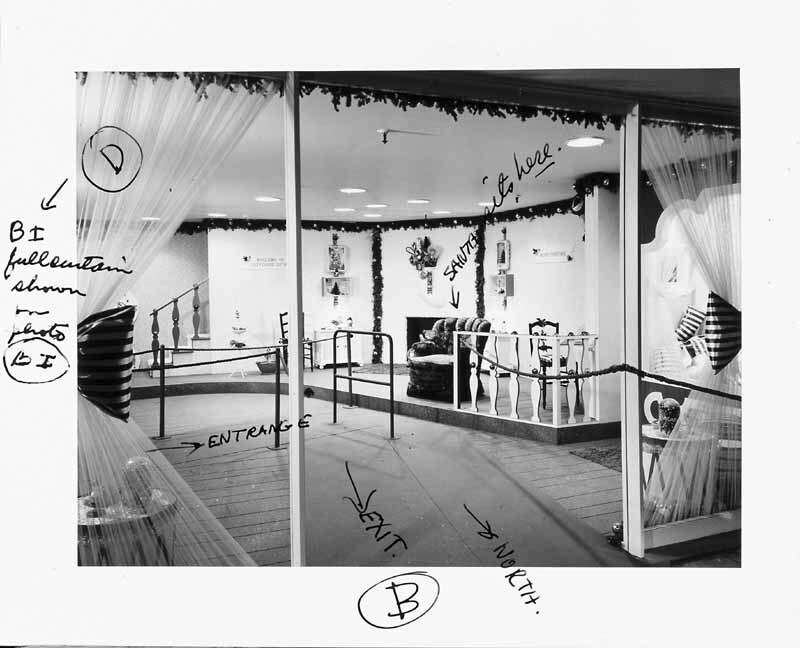 The setting incorporated the modernist display elements of Field’s furniture department to update the traditional Santa-sits-here approach. While reindeer warmed their hooves around a kitchen stove, Santa received his young visitors in a living-room armchair instead of a throne. 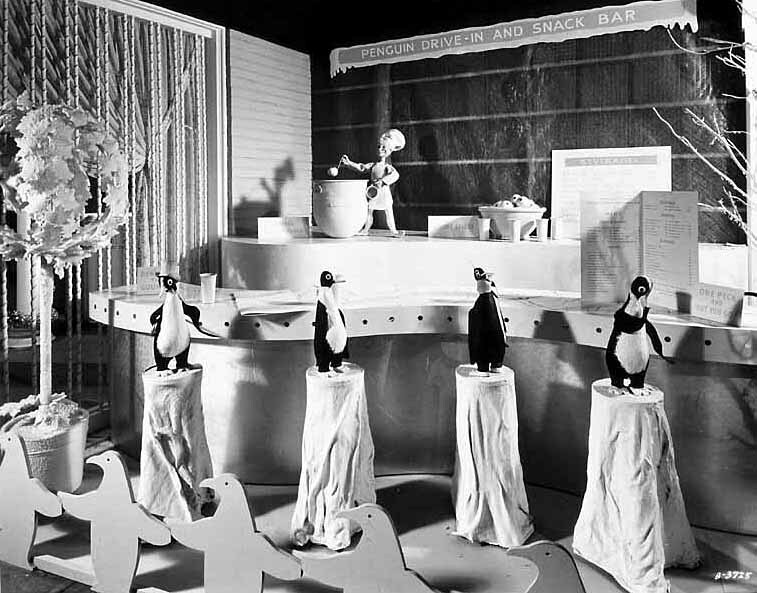 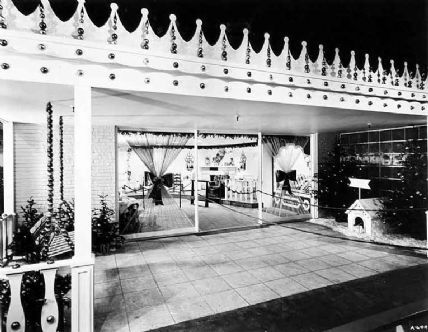 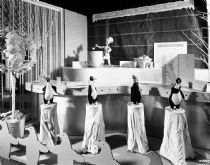 After chatting with Santa and posing for the store photographer, visitors exited through a spacious patio, which one year featured a doghouse and, another year, a snack bar for penguins.